Milwaukee, Wis. (March 5, 2018) — Royal Enfield is officially announcing the launch of the highly anticipated Himalayan adventure motorcycle in North America. 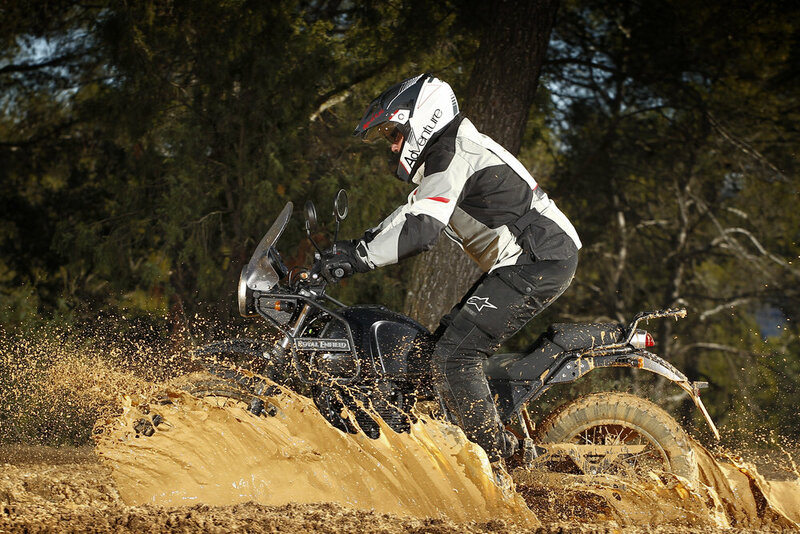 The Himalayan creates a new subcategory within the fast-growing adventure touring motorcycle segment – an accessible, affordable and incredibly fun motorcycle that is equally capable of tackling the challenges of urban commuting as well as exploring off-road. 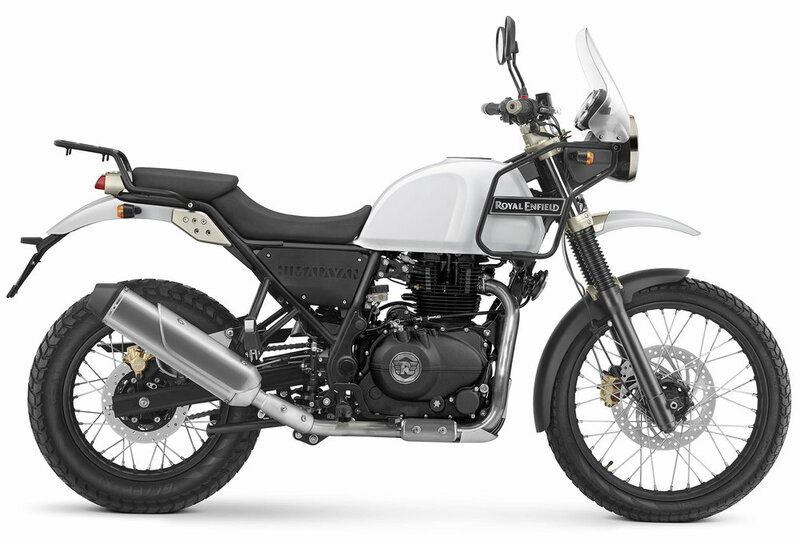 The Himalayan complements Royal Enfield’s current lineup of middleweight motorcycles and will be available at Royal Enfield dealers across North America in April 2018 with an MSRP of $4,499. The model will be available in two colors, Granite and Snow, and will offer a full range of motorcycle accessories, including aluminum panniers, engine guards, aluminum cross-braced handlebars and billet handlebar weights, with additional accessories available soon. Purpose-built for adventure, the Himalayan is built on a rugged, duplex, split-cradle frame designed and developed by Harris Performance. The overhead camshaft engine forms the base for its new long-stroke LS 410 engine. The engine delivers high torque and usable power at lower RPMs for smooth riding in higher gears at lower speeds, making it easier to climb hills or maneuver through traffic. Modern design and materials translate to increased efficiency and low maintenance. Touring utility is built inherently into the Himalayan. A 4-gallon fuel tank provides a long range of over 250 miles. An ergonomic sync between foot pegs, handlebar and seat height provides a comfortable upright riding posture that is necessary for long rides. An accessible 31.5-inch seat height with lower mass balance ensures ease of planting feet on the ground for complete control. The Royal Enfield Himalayan comes fitted with dual-purpose tires that lend a confident grip and performance across a range of conditions. 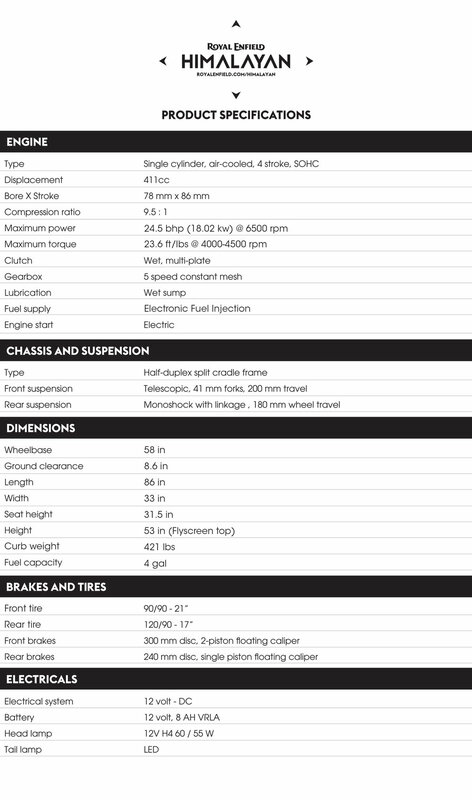 This is complemented by 9 inches of ground clearance. In addition to complete braking control, the 300 mm front and 240 mm rear disc brakes help to reduce braking effort. The oldest motorcycle company in continuous production in the world, Royal Enfield made its first motorcycle in 1901. A division of Eicher Motors Limited, Royal Enfield has created the mid-size motorcycle segment in India with its unique and distinctive modern classic motorcycles. With its manufacturing base in Chennai, India, Royal Enfield has been able to grow its production rapidly against a surge in demand for its motorcycles. With 50 percent growth every year for the last six years, Royal Enfield is a leading player in the global mid-size motorcycle market. Go to royalenfield.com/usa for more information.